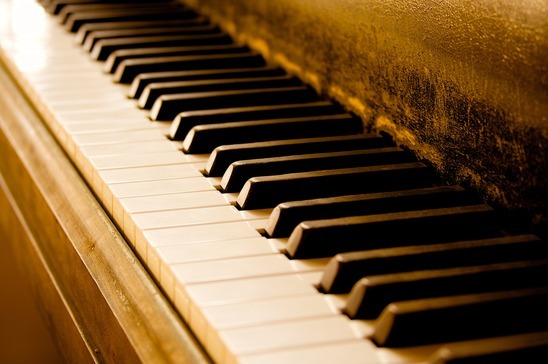 When you play the piano, there is always some moisture in your fingertips, that is natural and is the case with everyone. When you play plastic keys, this moisture is released from your fingertips and ends up on the key of your piano. When you have a plastic key, this moisture has nowhere to go so loiters on the key top and this is why when you finish playing a digital piano with plastic key tops, the keys can appear smudgey. Ebony and Ivory emulated key tops on digital pianos! There are electronic pianos out there where the manufacturers have actually put considerable time and effort into creating key tops that emulate ebony and ivory, the materials a traditional acoustic piano would have had its keys made from. Obviously real ivory is no longer legal for animal rights reasons (quite rightly so) but this manufacturer emulation is most certainly the next best thing. The material is more breathable, meaning the key tops will not have a layer of moisture on the top after you’ve finished playing! One of the more notable electronic pianos that boasts this feature is the beautiful KDP-90 from Kawai. This piano is an all round stunner with its stunning sound and hammer action keys to pair with the ebony and ivory emulated key tops! Previous Previous post: Tips and tricks for buying a digital piano this year!